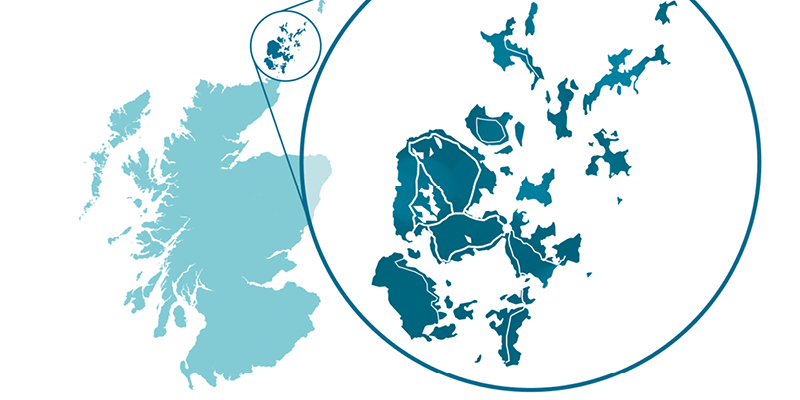 Orkney Islands Council has made significant progress in recent years and needs to build on this for the future, says the Accounts Commission. A new independent report published today by the local authority watchdog looks at how the council is fulfilling its statutory duty to demonstrate Best Value. The Commission says that the council has a good understanding of the long-term challenges which are particular to Orkney. Councillors and officers are working well together in providing effective leadership. The report also notes the council is in a strong financial position, with significant reserves. The council has good working relationships with communities across the islands, developing priorities together and working in partnership. This is demonstrated in the council's focus on the values of diversity and equality, clearly seen in their engagement with remote communities. However, the council faces real challenges in developing and delivering services fit for the future. Whilst the Commission reports it is pleased with current citizen satisfaction with council services, there is room for improving service performance. In particular, the council must demonstrate efficiency and continuous improvement to residents, ensuring council services benefit and improve the lives of local people. The Commission emphasises the importance of having in place robust long-term financial plans that need to be better linked with asset management and workforce plans, as well as IT and digital strategies. It is also essential that the council ensures it has the capacity to deliver the changes required to meet shifting demands and priorities for services. In particular, it will need to continue to shape and refocus services to meet the needs of a growing elderly population. "There is much to commend in this report - excellent partnership working with residents, a clear focus on the differing needs of island communities and sound financial management. "The council needs to ensure robust, longer term financial planning, focusing on delivering the services needed for its changing population."